1Jn 2:15 “Do not love the world or the things in the world. --- is not of the Father but is of the world. Observations: 2:15-16 God made us with desires for power (security/significance), pleasure, and possessions, and has a plan to fulfill those desires, according to His will. Satan also has a will for our lives, which is to take a temporal short-cut to fulfilling our desires, rather than doing God's will to get them. Adam and Eve took the bait, and chomped down on the temporal and fatal short-cut (see comments on Genesis 3). Jesus refused to follow Satan's will for His life to take the easy way to what the Father wanted for Him (see His temptations and comments in Mt 4). John tells us not to love all the stuff in Satan's world: the lust of the flesh (pleasure), the lust of the eyes (possessions), and the pride of life (power, success/safety). If anyone loves those things, they can't love God (Js 4:4). The double-edged key to not loving the things of the world is to love or be loyal to God, and to see the things of the world as they really are (Proverbs is great for teaching this). Once we've unmasked the deceitfulness of Satan's temptations, and considered the consequences of indulging in them, they're not so appealing. Once we've set our affections on things above (Col 3), and experienced the delights of abiding in Christ (Jn 15) the world is downright unappealing. The one who does God's will rather than Satan's abides forever, getting both temporal and eternal benefit. The worldling loses both eternally, and temporally (eventually). Application: Work on purifying your desires, and don't develop an appetite for things that aren't eternally good for you. Prayer: Lord, thanks for loving me; may I loyally love You, and delight in Your presence and will more than any created thing. Amen. Hebrews 8-10 These chapters continue to make the case for the superiority of Christ, particularly mediating the blessings of the New Covenant which enable believers to have a cleansed conscience by the working of the Holy Spirit in renewing their hearts, so they serve God and do His will. The author summarizes the book in the “hinge” near the end of chapter 10, and then gives another stern warning passage of the punishment that awaits unfaithful believers who succumb to the temptation to go back to the way they were. However, he is expectant that his readers will press on to perfection and reap the reward God has planned for those who serve Him. 8:1 Now in the things which we are saying, the main point is this. We have such a high priest, who sat down on the right hand of the throne of the Majesty in the heavens, 2 a servant of the sanctuary, and of the true tabernacle, which the Lord pitched, not man. 3 For every high priest is appointed to offer both gifts and sacrifices. Therefore it is necessary that this high priest also have something to offer. 4 For if he were on earth, he would not be a priest at all, seeing there are priests who offer the gifts according to the law; 5 who serve a copy and shadow of the heavenly things, even as Moses was warned by God when he was about to make the tabernacle, for he said, "See, you shall make everything according to the pattern that was shown to you on the mountain." 6 But now he has obtained a more excellent ministry, by so much as he is also the mediator of a better covenant, which on better promises has been given as law. 7 For if that first covenant had been faultless, then no place would have been sought for a second. 8 For finding fault with them, he said, "Behold, the days come," says the Lord, "that I will make a new covenant with the house of Israel and with the house of Judah; 9 not according to the covenant that I made with their fathers, in the day that I took them by the hand to lead them out of the land of Egypt; for they didn’t continue in my covenant, and I disregarded them," says the Lord. with the house of Israel. 11 They will not teach every man his fellow citizen, and every man his brother, saying, ‘Know the Lord,’ for all will know me, from their least to their greatest. 12 For I will be merciful to their unrighteousness. I will remember their sins and lawless deeds no more." Observations: 8:1-5 The superiority of what believers in Christ have over what they had in Judaism is further demonstrated by the position of Christ in the heavens where the real tabernacle is, sitting, after completing His work, and mediating a New Covenant. The tabernacle on earth was a mere copy and shadow of the real deal in heaven. 8:6-9 The ministry Christ now has is that of the mediator of a better covenant, which is based upon better promises. The first offered temporary forgiveness and temporary blessings in the land. The second, new and improved, offers permanent forgiveness and permanent blessings in the Messianic Kingdom. 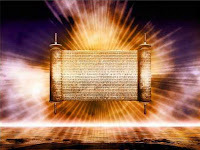 It is not like the covenant God made with Israel in the day He took them out of Egypt (Ex 15:26 or Ex 20), which they broke, therefore this is a covenant that will not be forsaken by Israel (and thus is yet future). 1) It is with the house of Israel (not the church). 2) It is made with Israel after the days when God regathers Israel and resettles them in the land. 3) God will put His laws into their mind, which means God still requires obedience of His people (Isa 59:20-21 indicates that this is a function of the Holy Spirit, after the Redeemer comes to Zion). 4) God will also write His laws on their heart, which means the spot where they make their decisions will have God's values; in Proverbs 3:1-3 and 7:1-3 the wise write God's law on their own heart. 5) He will be their God, and they will be His people, which means they will live in covenantal loyalty with Him, keeping His requirements, and looking only to Him for help and protection. 6) All will know God, probably because of His presence in the Millennial temple, so that there will be no need for teaching. 7) God will be merciful, no longer holding their sins and lawless deeds against them, but will reinstate them as His privileged people. The fact that a New Covenant was promised showed that the Old Covenant was not permanent and would become obsolete. See comments on Jeremiah 31:31 for a deeper understanding of the New Covenant. New Testament believers receive the blessings of the Holy Spirit, especially in His sanctifying and renewing work, but the New Covenant as promised to Israel in the OT is still future. Application: If the Holy Spirit has free reign in our life, His law will be on our heart, controlling our actions, so we do God's will. Prayer: Heavenly Father, help me know and do Your will, so that the righteous requirements of Your law might be fulfilled in me as I walk according to the guidance and grace of Your Holy Spirit. Amen. 9:1 Now indeed even the first covenant had ordinances of divine service, and an earthly sanctuary. 2 For a tabernacle was prepared. In the first part were the lampstand, the table, and the show bread; which is called the Holy Place. 3 After the second veil was the tabernacle which is called the Holy of Hollies, 4 having a golden altar of incense, and the ark of the covenant overlaid on all sides with gold, in which was a golden pot holding the manna, Aaron’s rod that budded, and the tablets of the covenant; 5 and above it cherubim of glory overshadowing the mercy seat, of which things we can’t speak now in detail. 6 Now these things having been thus prepared, the priests go in continually into the first tabernacle, accomplishing the services, 7 but into the second the high priest alone, once in the year, not without blood, which he offers for himself, and for the errors of the people. 8 The Holy Spirit is indicating this, that the way into the Holy Place wasn’t yet revealed while the first tabernacle was still standing; 9 which is a symbol of the present age, where gifts and sacrifices are offered that are incapable, concerning the conscience, of making the worshiper perfect; 10 being only (with meats and drinks and various washings) fleshly ordinances, imposed until a time of reformation. 11 But Christ having come as a high priest of the coming good things, through the greater and more perfect tabernacle, not made with hands, that is to say, not of this creation, 12 nor yet through the blood of goats and calves, but through his own blood, entered in once for all into the Holy Place, having obtained eternal redemption. 13 For if the blood of goats and bulls, and the ashes of a heifer sprinkling those who have been defiled, sanctify to the cleanness of the flesh: 14 how much more will the blood of Christ, who through the eternal Spirit offered himself without blemish to God, cleanse your conscience from dead works to serve the living God? 15 For this reason he is the mediator of a new covenant, since a death has occurred for the redemption of the transgressions that were under the first covenant, that those who have been called may receive the promise of the eternal inheritance. 16 For where a last will and testament is, there must of necessity be the death of him who made it. 17 For a will is in force where there has been death, for it is never in force while he who made it lives. 18 Therefore even the first covenant has not been dedicated without blood. 19 For when every commandment had been spoken by Moses to all the people according to the law, he took the blood of the calves and the goats, with water and scarlet wool and hyssop, and sprinkled both the book itself and all the people, 20 saying, "This is the blood of the covenant which God has commanded you." 21 Moreover he sprinkled the tabernacle and all the vessels of the ministry in the same way with the blood. 22 According to the law, nearly everything is cleansed with blood, and apart from shedding of blood there is no remission. Observations: 9:1-7 The author reviews the set up of the sacrificial system, giving details of what was in the ark of the covenant not found in the OT. Exodus 16:32-34 said the manna was to be kept before the Lord and Numbers 17 speaks of Aaron's rod. But the point is that the high priest entered the Holy of Hollies only once every year to sprinkle blood on the mercy seat which sat on top of the Ark/Chest that contained the Covenant. The idea was that God's presence, dwelling in between the Cherubim would look down and see the Law which pointed out the sin of the people, and called for their death was violated. But the mercy seat, between His presence and the law, would be covered over with blood (the word for atone means to cover) thus covering the people's sin, and satisfying God's wrath temporarily until a more permanent solution would come. 9:8-15 A veil stood between God and the people indicating that there was not free access to Him, due to the sins which separated them from Him. The ritual sacrifices were incapable of making the worshiper “perfect” according to the measure of (kata with the accusative) their conscience. “Perfect” was used earlier of completion or bringing to the glorified state (2:10; 5:9; 7:11 -noun, 19) and later (10:1, 14, 11:40; 12:23) which is dependent upon fulfilling, perfecting or bringing to completion God's plan (via living in accord with His will). The conscience, our governing sense of right and wrong, is what guides our actions. The OT sacrificial system, which was a matter of flesh rather than Spirit, was not able to “re-program” our conscience by having the Holy Spirit write God's law on our heart (a condition which the New Covenant changes, as explained in chapter 10). At Christ's death the veil was torn from top to bottom (Mt 27:51), indicating the way was now accessible. As the high priest of the coming good things (among them being the Holy Spirit) He entered once for all into the Holy place after having secured eternal redemption (payment for sin). The blood of animals sanctify or cleanse the flesh, but the blood of Christ goes to the core of the problem, cleansing our conscience from acts that lead to death (NIV or dead works) so that we can serve the living God. If our “governor” of what's right and wrong is programmed by the worldly values, we will choose to do what's wrong, rather than serve God. If our conscience is cleansed by the blood, and rewritten by the Spirit of God with His truth, we will choose to serve God, and wind up getting blessed/glorified. 9:16-22 For this reason of cleaning up and renewing our conscience, Christ is the mediator of the New Covenant (and the work of the Spirit), so that those, who have been redeemed from their transgressions pointed out by the Law, may receive the promise of inheritance in the Age. In order for a covenant (as in last will and testament) to take effect, there needs to be the death of the person making it. The first covenant went into effect with the blood of animals. In the Ancient Near East, when a covenant was made, animals were sacrificed, and the halves laid apart from each other. The parties making the covenant would join hands and walk through the animals saying something to the effect of “may what happened to these animals happen to us if we violate the terms of this covenant.” This is the background to God's covenant with Abraham in Genesis 15 (see comments there) although only God passed through the covenant, indicating that His promises to bless Abraham was solely dependent upon His efforts. When Moses was making the covenant with the nation of Israel, he sprinkled blood on the nation, as a symbol of the normal covenant making practice. Similarly using hyssop and blood, Moses sprinkled blood over everything in the tabernacle to cleanse it from sin, by covering it over with the blood, which was the required payment for sin. Without the shedding of blood, there is no covering nor forgiveness (Lev 17:11). 9:23-26 It was necessary for the earthly copies of the heavenly things to be cleansed with the blood of animals, but the heavenly things are cleansed with the blood of Jesus. Christ didn't enter a man made tabernacle multiple times, but a heavenly one, once for all with His own blood. The timing was one time only, at the end of the OT age, to put away/make void or annul sin (only used elsewhere in 7:18 of the law). 9:27-28 These last two verses are worth knowing well. Humans get one chance at life, and then face judgment. There are no second chances; there is no re-incarnation. Just like Christ died once, so do humans; flipping the analogy around, just like humans die once, so did Christ. The whole argument in the preceding verses is that Christ died once, because that is all that was necessary to permanently pay for all sin for all time. Those who think they are re-sacrificing Christ on an altar must be ignorant of this passage . Christ was sacrificed once to take away the sins of many (since not all will accept His death on their behalf and choose to die for their own sins). Christ will return again, but not in reference to sin (“to bear sin” is a good interpretation -NIV), because He already did that. He will return at His second coming to bring salvation (glorification, since justification is already our present possession) to those who eagerly await Him. Those who aren't looking forward to His return are probably not busy laying up rewards in heaven according to His instructions (Mt 6:19-20). Application: Since it's inevitable that we die and face judgment, it might be a good idea to use the time we have on earth preparing to do well at the judgment seat of Christ. Prayer: Lord Jesus, please guide me in living to please You so I can eagerly anticipate Your return in glory. Amen. 10:1 For the law, having a shadow of the good to come, not the very image of the things, can never with the same sacrifices year by year, which they offer continually, make perfect those who draw near. 2 Or else wouldn’t they have ceased to be offered, because the worshipers, having been once cleansed, would have had no more consciousness of sins? 3 But in those sacrifices there is a yearly reminder of sins. 4 For it is impossible that the blood of bulls and goats should take away sins. 5 Therefore when he comes into the world, he says, "Sacrifice and offering you didn’t desire, but you prepared a body for me; 6 You had no pleasure in whole burnt offerings and sacrifices for sin. 7 Then I said, ‘Behold, I have come (in the scroll of the book it is written of me) to do your will, O God.’" 8 Previously saying, "Sacrifices and offerings and whole burnt offerings and sacrifices for sin you didn’t desire, neither had pleasure in them" (those which are offered according to the law), 9 then he has said, "Behold, I have come to do your will." He takes away the first, that he may establish the second, 10 by which will we have been sanctified because of (dia) the offering of the body of Jesus Christ once for all. 11 Every priest indeed stands day by day serving and often offering the same sacrifices, which can never take away sins, 12 but he, when he had offered one sacrifice for sins forever, sat down on the right hand of God; 13 from that time waiting until his enemies are made the footstool of his feet. 14 For by one offering he has perfected for all time those who are being sanctified. 15 The Holy Spirit also testifies to us, for after saying, 16 "This is the covenant that I will make with them: ‘After those days,’ says the Lord, ‘I will put my laws on their heart, I will also write them on their mind;’" then he says, 17 "I will remember their sins and their iniquities no more." 18 Now where remission of these is, there is no more offering for sin. 26 For if we sin willfully after we have received the knowledge of the truth, there remains no more a sacrifice for sins, 27 but a certain fearful expectation of judgment, and a fierceness of fire which will devour the adversaries. 30 For we know him who said, "Vengeance belongs to me," says the Lord, "I will repay." Again, "The Lord will judge his people." 31 It is a fearful thing to fall into the hands of the living God. you endured a great struggle with sufferings; 33 partly, being exposed to both reproaches and oppressions; and partly, becoming partakers with those who were treated so. 34 For you both had compassion on me in my chains, and joyfully accepted the plundering of your possessions, knowing that you have for yourselves a better possession and an enduring one in the heavens. 35 Therefore don’t throw away your confidence, which has a great reward. 36 For you need endurance so that, having done the will of God, you may receive the promise. 37 "In a very little while, he who comes will come, and will not wait. 38 But the righteous will live by faith. If he shrinks back, my soul has no pleasure in him." 39 But we are not of those who shrink back to destruction, but of those who have faith to the saving of the soul. Observations:10:1-5 The OT ritual and sacrificial law was just a shadow of the good to come, because they could never make perfect (bring to completion/fulfillment or glorification) those who draw near to worship. If they could do that, they wouldn't be continually offered, because the worshipers would no longer have a consciousness of sins (because they wouldn't be consciously sinning). But in the sacrifices of the Day of Atonement there is an annual reminder of sins. 10:6-18 Quoting Psalm 40 to show that God doesn't desire sacrifices but prefers obedient service, the author stresses the importance of having the law within one's heart (a function of the Holy Spirit in the New Covenant). Psalm 40:6 Sacrifice and offering You did not desire; My ears You have opened. Burnt offering and sin offering You did not require. 7 Then I said, "Behold, I come; In the scroll of the book it is written of me. 8 I delight to do Your will, O my God, And Your law is within my heart." God gives us ears so we can hear His will, and do it. He gave the sacrificial system for when we failed to do His will, which He would prefer. Jesus takes away the sacrifices (and the need for them) so He can establish (set in place) the second, which is the doing of God's will, on the basis of His law being internalized by the Holy Spirit. By Christ doing the will of God, we are in the condition of having been sanctified/set apart (present indicative plus perfect participle, like in Eph 2:8, stressing the ongoing nature of a previous event). Note that verse 14 refers to the ongoing (present tense) aspect of being sanctified. Daily Levitical sacrifices can never take away sins, but Jesus, by one sacrifice, did, and has sat down (in contrast to the standing priest) after having finished His work, and is now awaiting future glorification. As verse 14 emphasizes, by means of one offering Jesus has perfected (perfect tense) for all time (continuously) those who are being sanctified. His death removes all barriers to their glorification. The Holy Spirit testifies to this in the terms of the New Covenant. The law will be internalized, and God will no longer hold their sins against them, but instead will be their God, and they will be His people. Where there is remission (sending away or forgiveness) of sins, there is no more offering for sin, and thus no need for the daily sacrifices, nor the system. 10:19-25 Now the author summarizes what believers have in Christ, and outlines the three major areas in which they should progress in doing God's will on the press to perfection/glorification. This is the “hinge” of Hebrews (it's also called the “salad” passage, since it's comprised of three kinds of “let us”). Believers/brothers have confidence to enter the holy place by the blood of Jesus, through a new way, through his flesh (put for His sacrificial death) which cleansed them of their sin, and cleansed their consciences so they can serve God. They also have a great and faithful high priest who lives to make intercession for them and help them. Therefore they need to progress in faith, hope, and love, which will be expanded upon in the following three chapters (faith in 11, hope in 12, love in 13). But first the author gives a summary statement and then another warning passage, and encouragement to persevere. First believers should draw near (used of approaching a deity in worship) to God with a true (rather than hardened or false or lie-filled) heart in fullness of faith (no room for anything else). He further elaborates that the heart is sprinkled/cleansed (only used elsewhere in 9:13, 19, 21) from an evil conscience (by the Holy Spirit renewing our heart), and our body washed with pure water (clean of dead works). Secondly, believers should hold fast the profession of their hope (expectation of the Messiah's return to reward the faithful in His kingdom) without wavering (succumbing to the temptation to be unfaithful to avoid persecution), because the God who promised to do so is faithful. Thirdly, believers should live in love, by not thinking only about themselves, but considering one another for the purpose of stimulating the love and good deeds that God will reward. Believers should not forsake assembling together, although their Jewish families and neighbors would be pressuring them to. When gathered with other believers, the goal should be to encourage one another (call up the mountain) with increased fervency as they see or recognize the future Day of judgment (return of the Lord) approaching. The author warns against not doing this in the next verses. 10:26-30 In this third warning passage the author again address an “enlightened” audience (10:32) who had been walking in God's will, and were being tempted and pressured to go back to the way they were. The “willful sin” is not a momentary rebellion or relapse that is part of the normal growth and maturity pattern, but, like chapter 6, a return to Judaism (which the whole letter warns against by showing the superiority of Christ over Judaism). The ones warned have “received the truth” (cf Jn 1:12), and then by going back to Judaism left the sphere where forgiveness was found (by the blood of Christ, described earlier in the chapter). In the Levitical sacrifices there was no longer a sacrifice for sins, but only the expectation of judgment, and the fire which will consume the adversaries. This is the judgment John spoke of in Matthew 3:12. It is not being tossed into the lake of fire with the unforgiven and unregenerate, but being judged in the fire of the garbage dump of Gehenna where fire will test the quality of each man's work (1Cor 3:15). Believers don't face the former, only the latter. insulted/despised or abused the Spirit of Grace who saved, sanctified, and “indwelt” them. These are clearly bad believers. If one's theology doesn't allow for such critters, one is not only unbiblical, but incredibly naive. It might be time to bring one's theological thinking into harmony with the truth. This is in the context of God promising to judge His unfaithful children who deserted the God who made/fathered them, and Rock who saved them (32:15, 18). The parallel, cited also by Paul in Romans 12:19 should be obvious to all except the most obstinate. It is indeed a fearsome thing to fall into the hands of the living and livid God for judgment. It is better to not fear those who can kill the body than to not fear Him who can destroy both body and soul in Gehenna (Mt 10:28). 10:32-39 The author provides positive encouragement to persevere, by reminding his audience of the earlier times after they were born again/enlightened. They endured persecution and afflictions from the Jews, and shared in the sufferings of the apostles and other of God's people, joyfully accepting the loss of their possessions because they knew that had better and enduring possessions in heaven (which is a whole lot more than many modern believers know and do). The author exhorts them to not throw away their confidence in Christ, which has great reward. The issue is reward or loss thereof, not undoing justification. The corrective is to exercise endurance, so that after having done the will of God (obviously something that is attainable and doable – see Eph 5:17 comments if in doubt), they may receive the promised blessing in the Kingdom (not a reference to getting forgiveness on the basis of works). Loosely quoting Habakkuk 2:3-4 “For the vision is yet for the appointed time, and it hurries toward the end, and won’t prove false. Though it takes time, wait for it; because it will surely come. It won’t delay. 4 Behold, his soul is puffed up. It is not upright in him, but the righteous/just will live by his faith.” the author reminds that God's promise will arrive. In the meantime the just (those who are already justified -see comments on Romans 1:17) will live (exercise dominion) by faith in God's promises. If anyone fails to follow in faith, and shrinks back from the difficulties of enduring denial and opposition, God will have no pleasure in that person. God only blesses those with whom He is pleased. The author groups himself with his audience in asserting that they are not among those who shrink back to destruction but who continue to have faith to the end goal of saving their souls (glorification -cf Lk 9:23-27 and the calls to discipleship in the gospels). Application: God has given us all we need to progress in faith, hope and love as we await His return to reward His faithful servants. Prayer: Lord Jesus, thanks for all You've done to save and sanctify me, and make possible a great future with You; help me draw on Your Spirit to keep my conscience and actions aligned with Your will. Amen. God in a nutshell: God has given us ears so we can hear and do His will, and He can bless us. He provided the sacrificial system as a temporary measure for dealing with sins, until Christ would come and put an end to sin. He provides the Holy Spirit to enable us to be perfected. Us in a nutshell: NT believers participate in the blessings of the Holy Spirit in His sanctifying and perfecting us. If we follow God's will, particularly in the areas of faith, hope and love, we will be rewarded, if we don't, we will be punished with destruction (it's a promise).